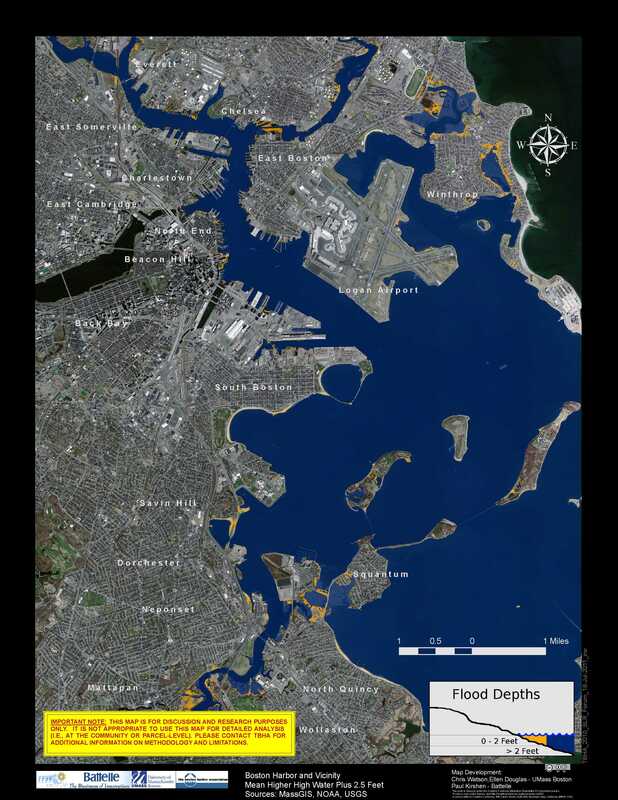 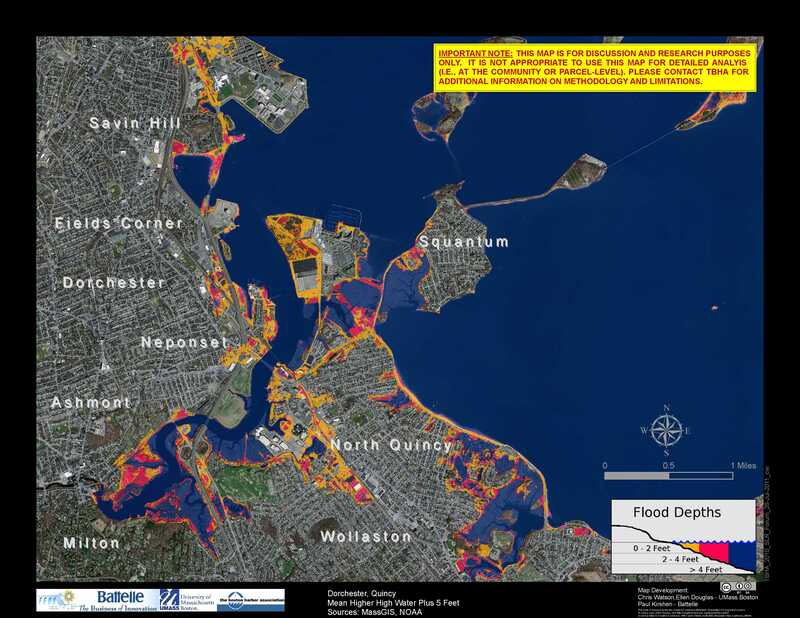 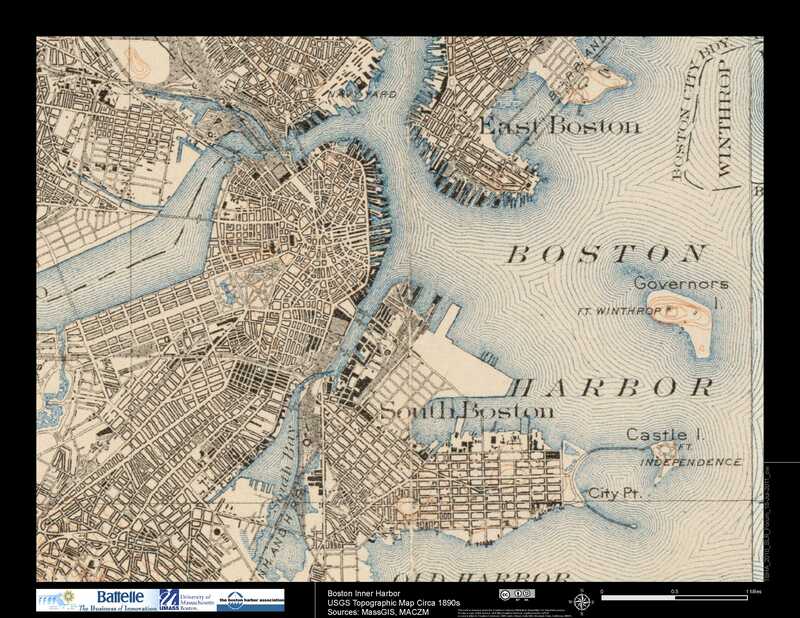 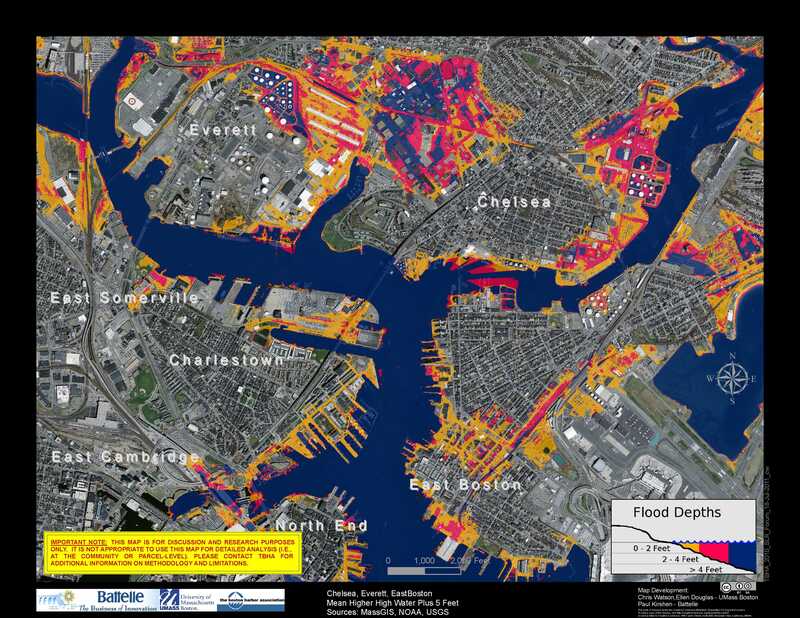 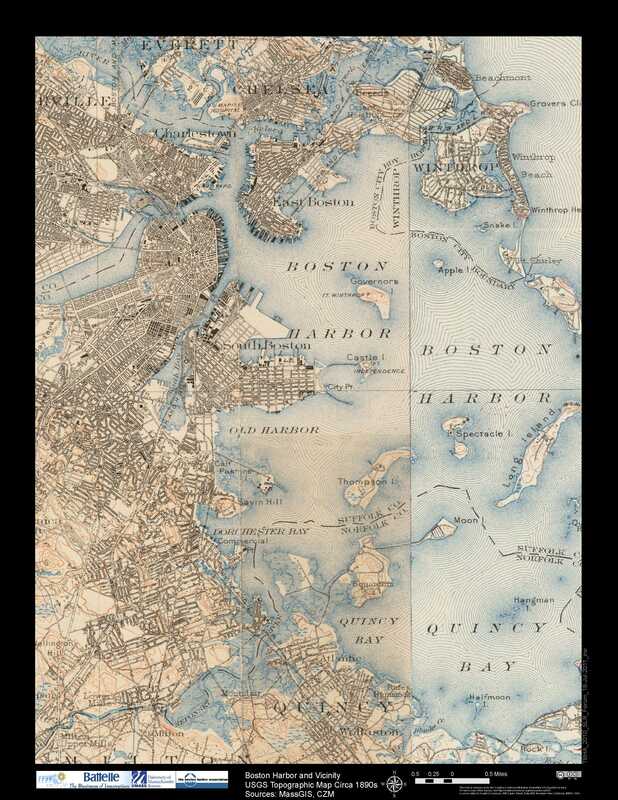 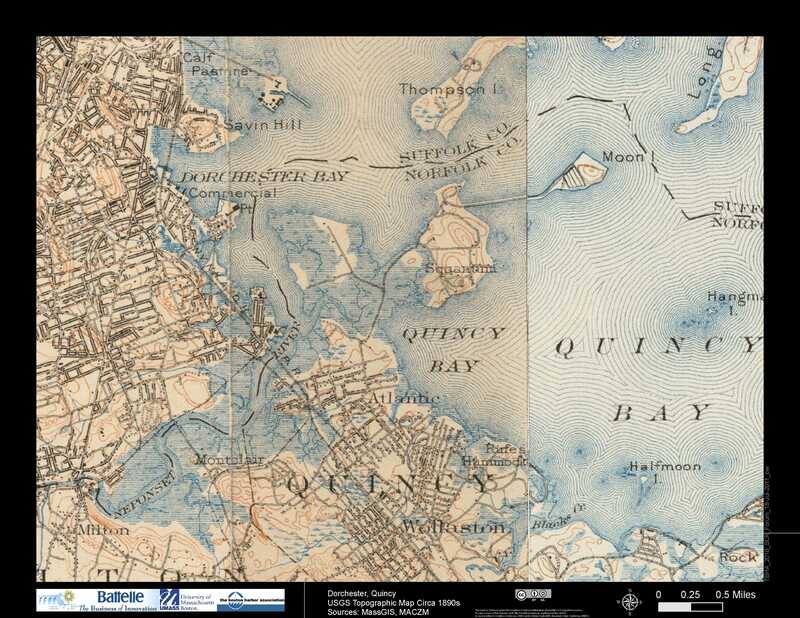 The team of UMass Boston scientists and Woods Hole Group modelers created a hydrodynamic Boston Harbor Flood Risk Model to identify both the predicted coastal flood risks and flood depths from coastal storms and sea level rise. Please see the Climate Change and Extreme Weather Vulnerability and Adaptation Options for the Central Artery/Tunnel System (Pilot Project Report) for more details on the study. 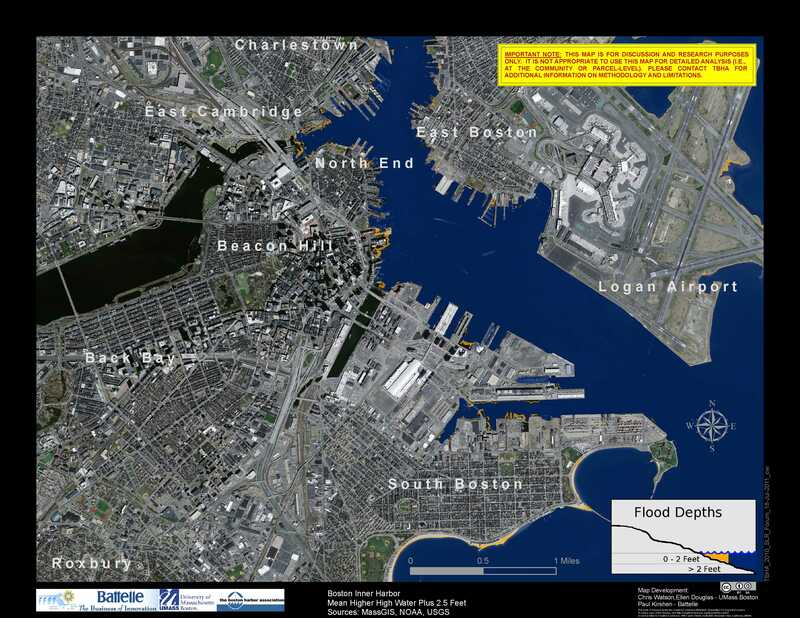 The depth of saltwater flooding in a particular location during a 0.1% high water event during a given year (note: this is roughly equivalent to what we used to call the “thousand-year flood”). 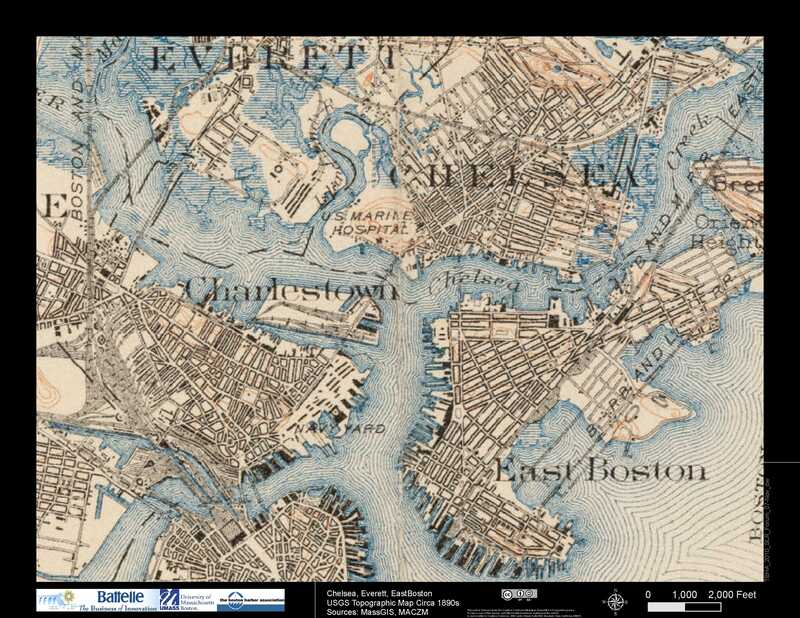 Before using these maps, please read this disclaimer and view Frequently Asked Questions about the model.